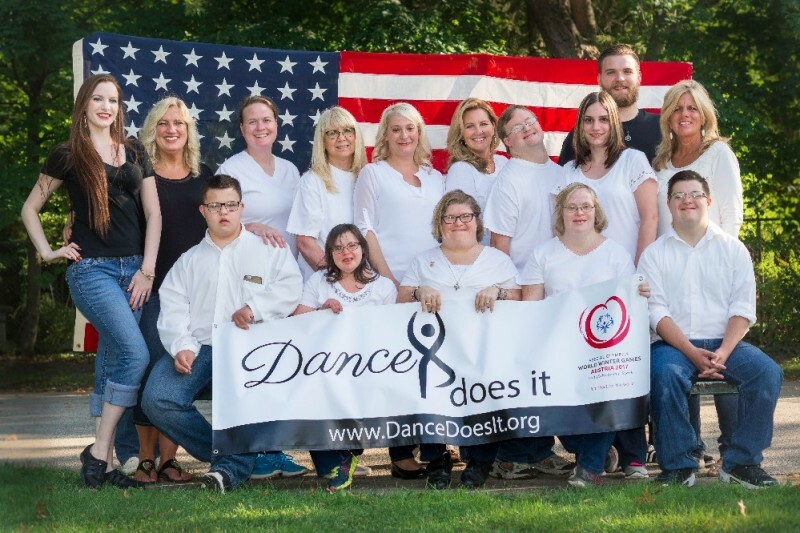 We are members of Dance Does It, a unified team of dancers, the majority with special needs/Down Syndrome. We are honored and excited to be invited to perform in Austria at the World Dance Contest being held as part of the 2017 Special Olympics World Winter Games! HOWEVER, because dance is not yet an official sport (it is a demonstration competition currently) WE MUST PAY ALL OUR EXPENSES & RAISE FUNDS ON OUR OWN. We cannot yet channel through Special Olympics even though we are going to champion for all of the dancers world-wide who hold faith and hope it will soon be an officially recognized sport! The good news is Dance Does It IS a 501(c)(3) charity and all donations are tax-deductible! We are very proud to represent NE Ohio and the USA at the World Games under the guidance of certified LaBlast instructor and founder of Dance Does It, Mary Beth Castell. 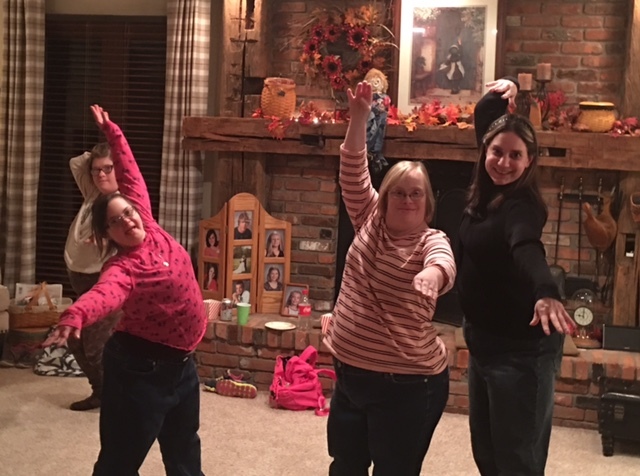 We are practicing regularly, bonding as a team and love all the things that dance does for us. However, our concern is the very high price tag for the trip! It would mean the world to us if you could help this dream become a reality by donating to our team. Every dollar will be highly appreciated and they do add up. 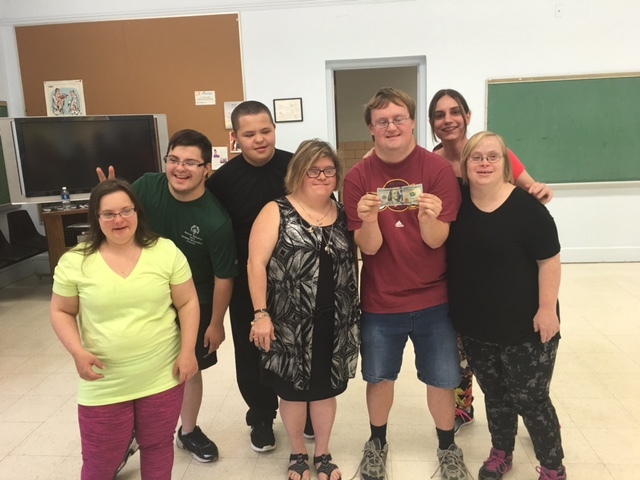 Perhaps you can donate in honor of someone you know who is also Special Needs... We are most grateful and we hope to serve as role models and help change perceptions about intellectual disability. As your gifts inspire us, we will keep inspiring others! Thank you very much for your generosity. We will post updates so please check back. Thank you, thank you, thank you!!! 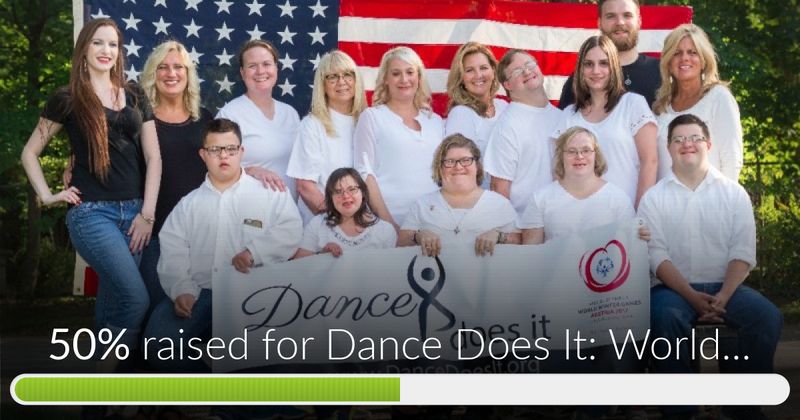 Dance Does It: World Games Austria has reached 50% of its goal. Thanks to TOM & LEAH, Sherry and Carrie. Team members are practicing often, seeking donations, writing thank you notes, making invitations for our Olympic Gala, and so much more. I'm so very proud to be their coach! Team bonding: Potluck, movie & dancing! Please help us push over $2,000! We had 6 donations come in today and we are so very thankful for everyone supporting us. It would be cool to go over $2,000. Who can help us get there and ultimately to Austria?!?! More excited with every donation! TY! Hi! Sheryl Kintop left a donation jar here for the special Olympics about 2 years ago and it has money in it. There's no phone number on it. Is this fund raiser over ? And can someone come get this donation jar? It's at Northcoast Corn Creations popcorn shop in Willoughby Ohio . Our number is 440 571 4005 Thank you! Good luck!! Have lots of fun. Supporting Michael Sukalac - best of luck to all of you! In support of my BD Buddy, Michael Sukalac and the entire Dance Does It team.